The single cover for Robyn's new "Hang With Me"
The radio-rip of Robyn’s new and first single off of Body Talk Pt. 2 has been unleashed, and it just so happens to be the dance version of “Hang With Me.” I think this new version of the song sounds akin to Body Talk Pt. 1’s “Cry When You Get Older.” This second installment of what’s supposed to be a three part release will see the light of day on September 6th. Body Talk Pt. 1 was released a little over a month ago. It’s the best pop release of the summer so far, and it featured the acoustic version of “Hang With Me.” I can’t wait to get my hands on parts 2 & 3. Conway’s Game of Life is a pretty sweet game. Well, it’s more like a set of rules that, when run, can result in some pretty awesome patterns. I’m not sure why, but we learned about the Game of Life in one of my computer science classes a few semesters ago. I thought it was interesting at the time, but it (sort of) came in handy when I interned at Microsoft. Every year the company puts on “Puzzle Day” which is a program-wide competition between teams that are solving puzzles all day. One of the puzzles was just a wide grid with seemingly random boxes colored black. It came with some clue about “life”, and I figured that it was simply Conway’s Game. Little did I know that there were custom rules that we had to figure out to solve what the boxes revealed… Sadly, this wasn’t one of the puzzles we solved, but we came close, right? While it doesn’t look like I’m going to get to any shows during my time up here in San Francisco (ok, the South Bay), I WILL start going to shows the very first day I come back down to LA. The first show I have tickets for right now is Hercules & Love Affair at the Echoplex. I seem to have great luck when it comes to interships ending and H&LA’s touring schedule. Last year I got to see them in New York my last weekend there, and this year I get to see them in LA on my drive back down from here up north. I’m pretty sure Andy Butler will have the same lineup with him in LA as he did in NY, even though this is considered the “new” lineup that’ll be featured on the album (I assume). The second show I have lined up features YACHT and Chromeo opening for The Chemical Brothers at the Hollywood Bowl in late August. This show is bound to be incredible. I (and just about everyone else) consider The Chems to be one of the electronica greats*, and I’ve been dying to make it to one of their live shows after seeing them do a DJ set at Coachella last year. While I haven’t ever seen YACHT, their last album got great reviews. And it’s been a long three years since I’ve seen Chromeo at Steve Aoki’s one-off Neighborhood Fest, but their new material that’s been leaking sounds great. Finally, I’ll also be going to see Vampire Weekend, Beach House, and The Very Best at the Hollywood Bowl in September. 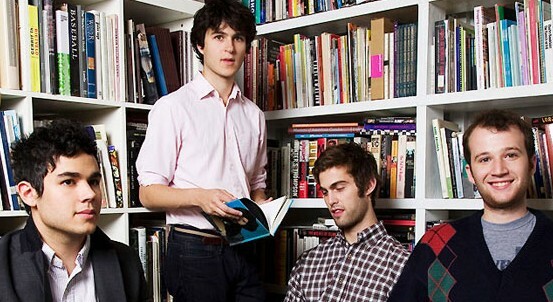 I’ve seen Vampire Weekend three times now, and they bring it every time. I saw Beach House on a whim at Coachella a couple months ago, and while I thought they were great in the Mojave Tent, I’m sure I’ll enjoy them more now that I’ve gotten to know their material better. I haven’t ever seen The Very Best, but their mixtape and album were both given BNMs from Pitchfork. Now that I think about it, of every album released by all three of these artists, only Beach House’s first album didn’t receive the title. Damn.